Hyderabad Metro is a rapid transit system, currently under construction, for the city of Hyderabad, India. 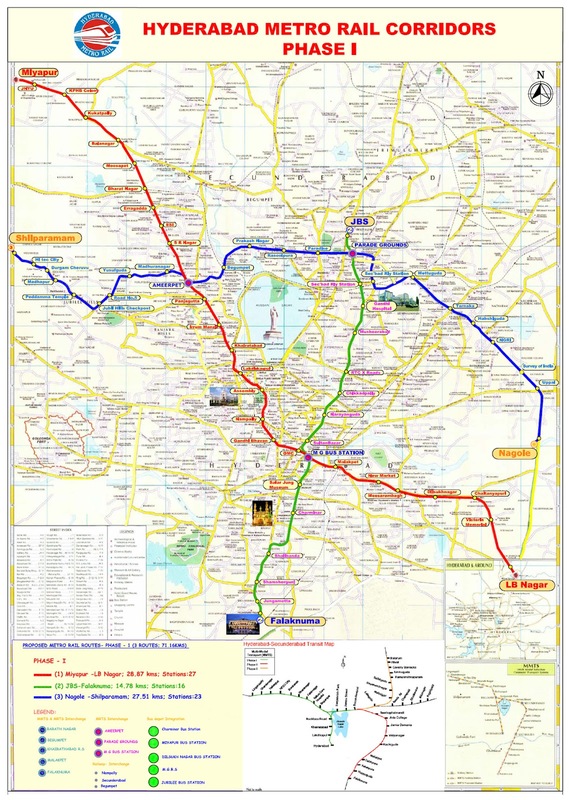 The Phase I of the project includes 3 lines covering a distance of around 71 km. The metro rail stretches between Nagole and Mettuguda (8 km) and between Miyapur and Ameerpet (12 km) are targeted to be operational by December 2014.